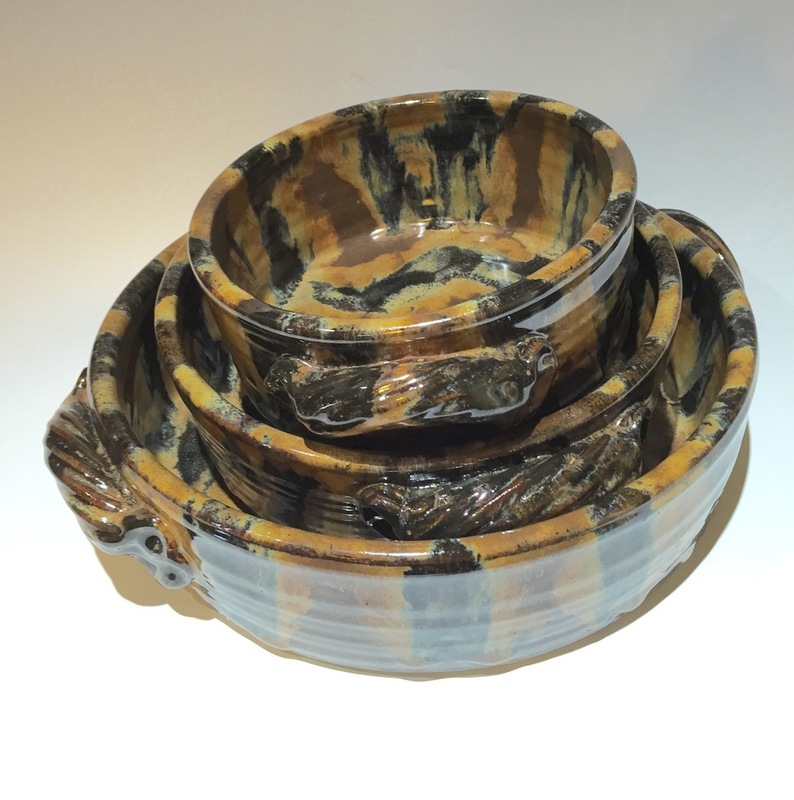 Hand turned stoneware clay body with our beautiful Canyon pattern glaze. Stoneware Baker cooks with wonderfully even temperature making you the master baker. Measures 11 inches across and 3 inches deep for family size cornbread. Great for any baking. High fire glaze is virtually non-stick.